The Sassy Swirl of Rings Necklace is full of texture, circles and movement. It is wonderful to wear around your neck and will receive many compliments. 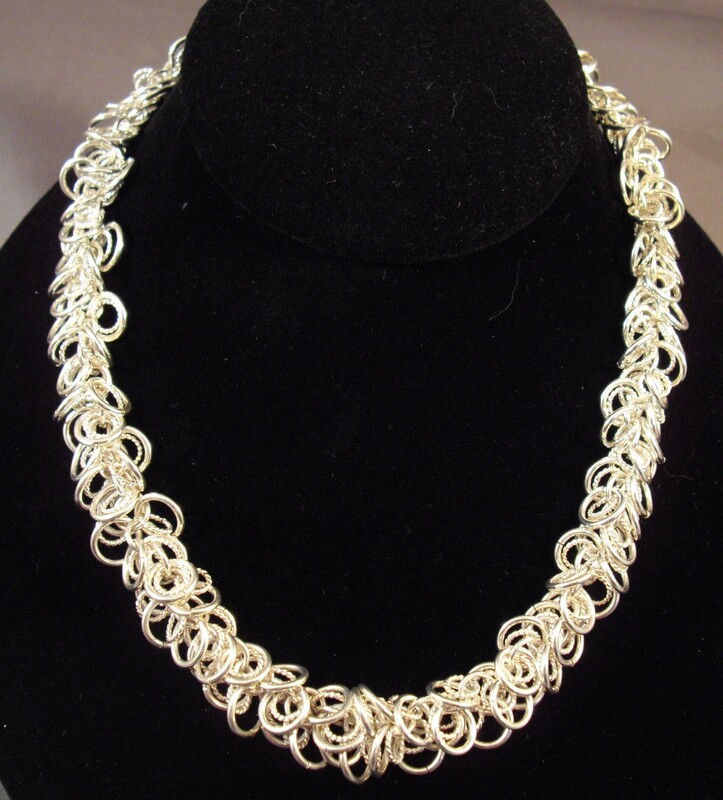 The necklace is 18 inches in length, but you can build a single ring chain on the end that could adjust between 18 and 20 inches. There are some companion pieces of bracelet, earrings, pendant and cell phone lariat in their respective kit sections of this website. This is a beginner weave. A sterling silver or yellow gold filled balloon clasp is included in the kit.